I've always thought that Vietnamese restaurant names could fill a year's full of memes. Think of it, we got the usual numbering system like Pho 99, Pho 37, Pho 101 and so on. Waiting on the place that dares to call itself Pho 69... Then we got the cleaver names such as Pho Real, What the Pho? and Pho Shizzle (in Seattle). Let's not forget the long gone, but always hilarious Pho Bich Nga formerly of Victoria and Kingsway. 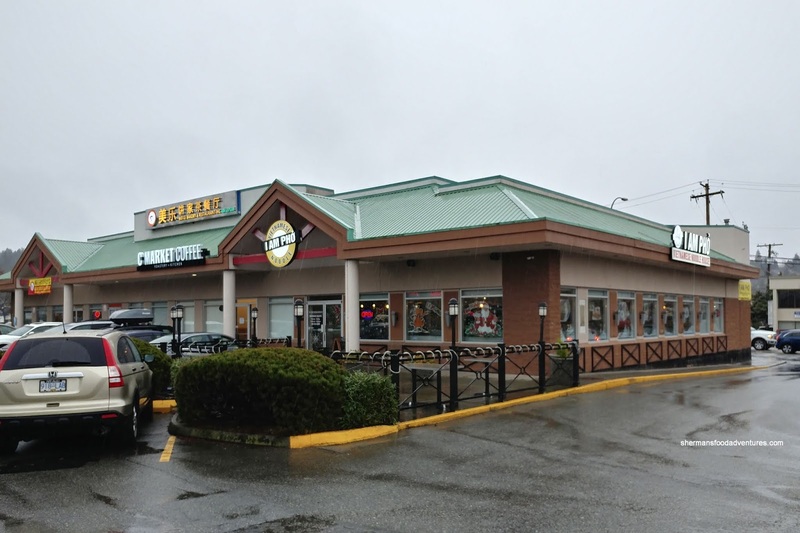 Now we have a new spot on Schoolhouse in Coquitlam that bears the name, "I Am Pho". Does that mean you are what you eat or is it some nod to Groot? Not sure, but we checked it out anyways. 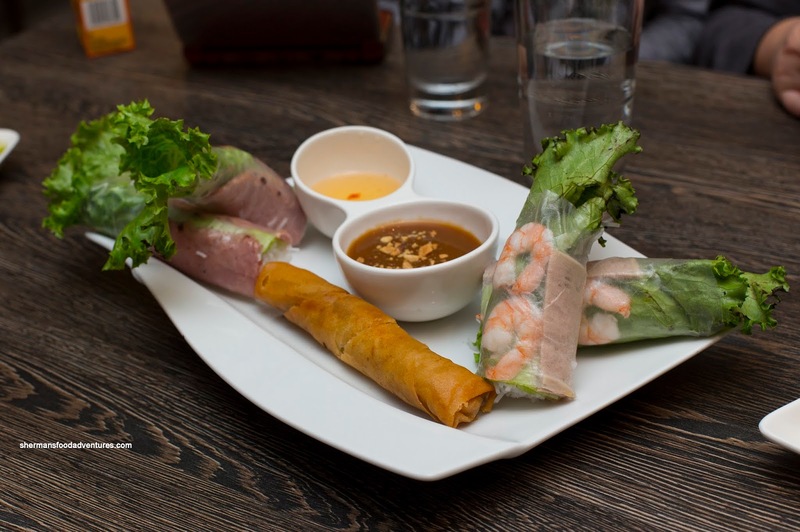 We couldn't decide what to order as an appie, so we got a little of everything with the Roll Combo sporting both a pork and shrimp salad roll as well as a spring roll. If you look closely, you can see that the tips of the romaine lettuce were not the most appealing. Honestly, they should have never served us those leaves or at the very least, hide them inside. Other than that, the rolls were pretty good with perfectly textured rice paper and well-prepared proteins. On the other hand, the peanut-hoisin dip was far too watered down for our tastes. 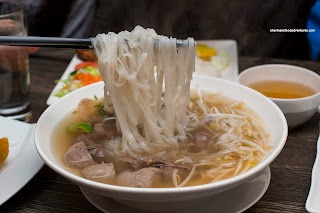 We ended up getting a large Pho Dac Biet and it featured thicker rice noodles. We enjoyed the chewy al dente texture. The broth was clean and more on the lighter side with only hints of sweetness. Meats were a bit chewy though and the portion size was sneakily small due to the shape of the bowl. 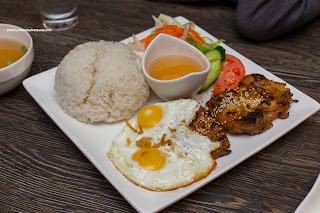 Onto some rice and vermicelli, we had the Lemongrass Chicken and Fried Eggs with Rice. As much as we loved the chewy rice, it was actually too much and we couldn't finish it. The eggs were perfectly fried up sunny side and the veggies on the side were fresh. The well-charred chicken was tender and moist while marinated enough for impact and caramelization. 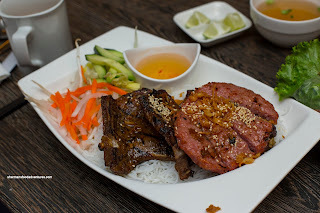 Lastly, the Pork Chop and Pork Patty Vermicelli Bowl was well-portioned with plenty of meat for the amount of noodles. Also well-charred, the pork chop was fairly tender and moist. The accompanying pork patty was its usual sweet self being lightly caramelized on the outside. Overall, I Am Pho was decent and the leftover decor from Bin 100 gave a more modern feel. An alternative to Pho 99 down the street.